Even though the current Volvo S60 sedan made its debut for the 2010 model year, this car has aged well, which has been proven by its recent Top Safety Pick+ rating from the Insurance Institute for Highway Safety (IIHS). On top on its safe and stylish design, the 2017 Volvo S60 also comes with a high-tech interior, powerful turbocharged engine choices, and an available all-wheel drive system that makes the Volvo S60 capable of driving in even severe weather conditions. What’s more, with its starting MSRP of $33,950, it undercuts many of its European rivals in the luxury compact sedan segment. The 2017 Volvo S60 competes for sales with the Mercedes-Benz C-Class, Audi A4, and Acura TLX. 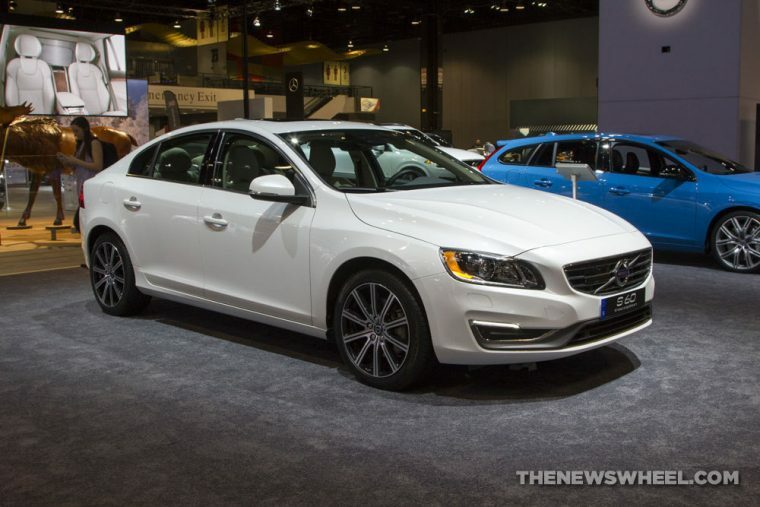 What’s New for the 2017 Volvo S60? 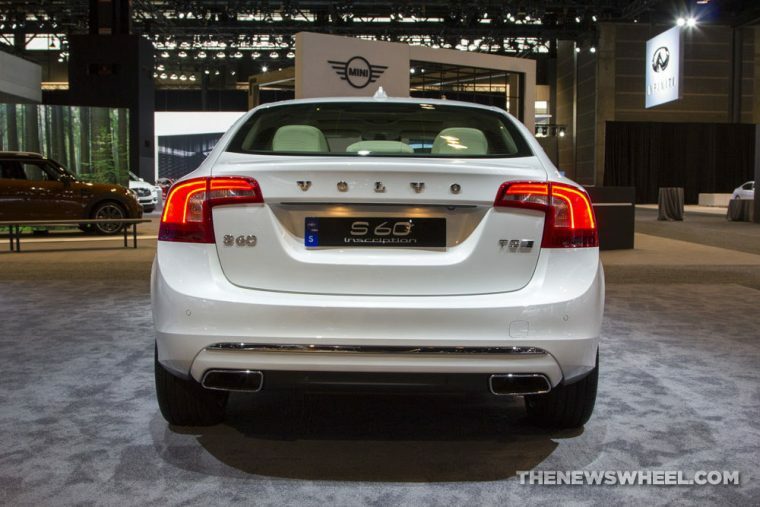 Volvo no longer offers its five-cylinder and V6 engines for the S60 sedan. 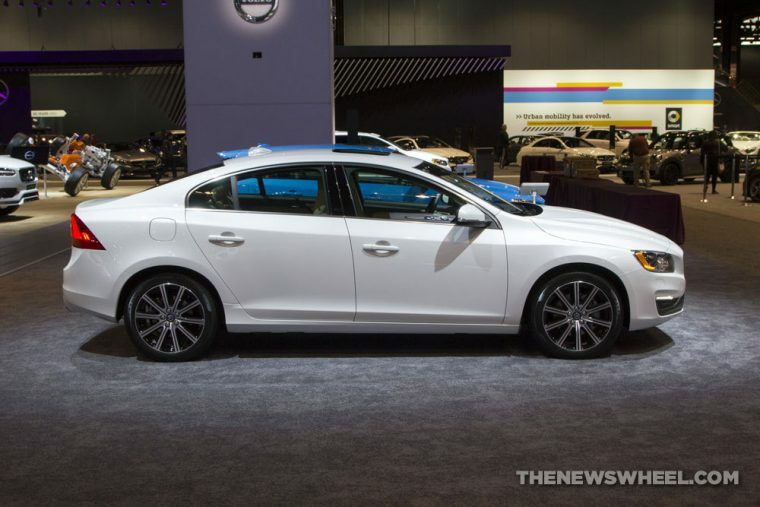 Instead, each 2017 S60 comes with the buyer’s choice of either a turbocharged four-cylinder motor or a four-pot that’s both turbocharged and supercharged. Also new for the 2017 model year is that the entry-level version of the S60 is available with the brand’s all-wheel drive system. Even though the 2017 Volvo S60 comes with a stylish and sleek exterior design, this sedan still leans towards the modest and tasteful side of compact car styling. While newer Volvo models, such as the XC90 and S90, come equipped with Thor’s Hammer headlights, the smaller S60 uses xenon headlights for the base model. In addition, the entry-level 2017 S60 comes standard with LED daytime running lights, a moonroof, and 18-inch alloy wheels. Furthermore, the Inscription trim has a three-inch longer wheelbase that lengthens the sedan’s elegant roofline, while also opening up for space in the interior for rear passengers. 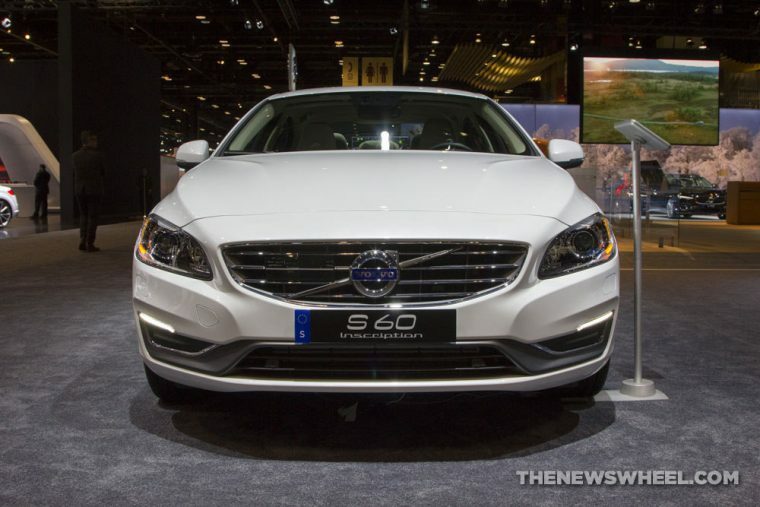 Also, the S60 is available in an off-road focused Cross Country model that adds 2.5 inches of ground clearance. If you thought Volvo’s decision to discontinue the five-cylinder and V6 engines meant the S60 sedan would come with less power, then you have another thing coming. That’s because the 2017 Volvo S60 comes standard with a 2.0-liter turbocharged four-cylinder engine that cranks out 240 horsepower and 258 lb-ft of torque. That turbo-four works with an eight-speed Geartronic automatic transmission that sends power to the front wheels, unless the buyer opts for the all-wheel-drive system, which is now available on every model. The only exception is the Inscription trim, as it comes standard with all-wheel drive. Speaking of the Inscription model, it features a more powerful four-cylinder motor that’s both turbocharged and supercharged in order to supply 302 horsepower and 295 lb-ft of torque. The might engine also works with the eight-speed auto, which helps the car zip from 0 to 60 mph in less than six seconds. Not to be outdone, the S60 Polestar features a turbocharged four-pot that brings 362 horsepower. Fuel economy estimates for the 2017 Volvo S60 hinge on the customer’s choice of engine, as well as their selection of either front-wheel or all-wheel drive. 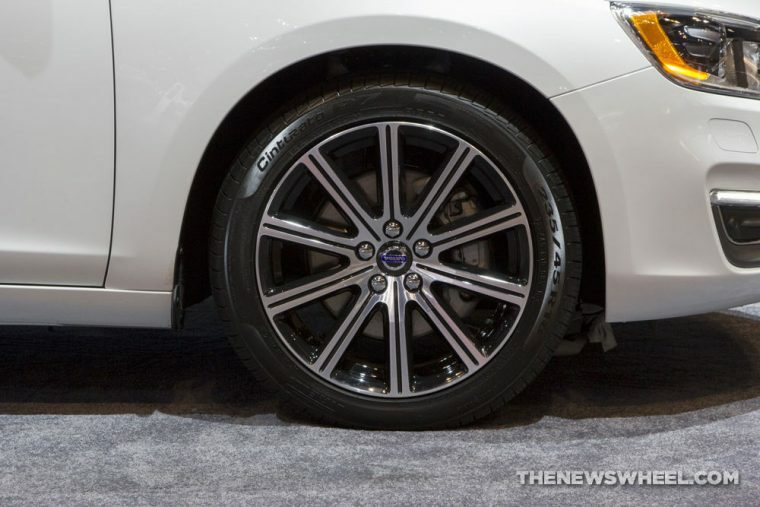 With the 240-horsepower engine and front-wheel drive, the new Volvo S60 yields EPA-estimated fuel economy of 25 mpg in the city and 36 mpg on the highway, but those figures fall to 23 mpg in the city and 31 mpg on the highway with the all-wheel-drive system. In contrast, the top-level Inscription trim with the supercharged engine and standard AWD is good for 22 mpg in the city and 32 mpg on the highway. What’s more, every 2017 Volvo S60 comes with a 17.8 gallon gas tank. The 2017 Volvo S60 comes with an elegant and spacious cabin that’s complete with high-quality materials throughout, as well as an abundance of tech features. People who’ve had the chance to sit inside the new Volvo S60 have raved about its driver’s seat that remains comfortable and supportive even during extended road trips. Another highlight of the interior is the available 12-speaker Harman Kardon audio system, but that feature only comes with the Inscription trim. However, if you only have money for the most affordable model, you’ll still get leather upholstery, a seven-inch touchcreen system, and automatic climate control, as well as a trunk that provides 12-cubic-feet of cargo space. Like many Volvo vehicles, the 2017 S60 sedan was named a Top Safety Pick+ by the IIHS and also earned the NHTSA’s best possible safety rating of five stars. Besides coming standard with typical safety features like stability and traction control, multiple airbags, and anti-lock brakes, the Volvo S60 also comes standard with advanced technology like its low-speed collision warning system. 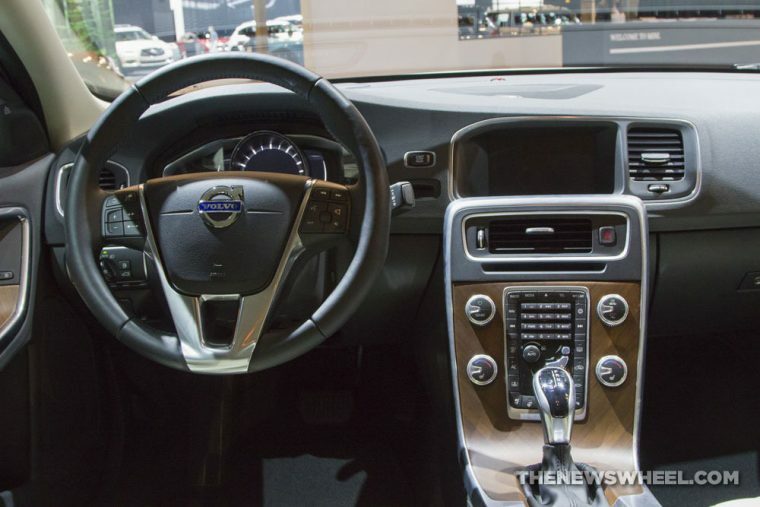 In addition, Volvo offers a Technology package, which adds lane departure warning, adaptive cruise control, and an enhance forward collision warning system. On top of all of that, there’s also the available Vision package that throws in front and rear parking sensors, blind-spot monitoring, and rear cross-traffic alert.